Second editions of several Addicus titles will be released in the fall. They are The Stroke Recovery Book, Understanding Lumpectomy, and After Mastectomy. 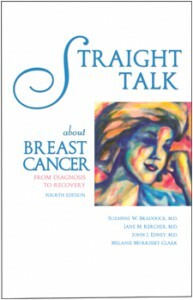 A fourth edition will be released of Straight Talk about Breast Cancer. In early November, Facial Feminization Surgery—A Guide for the Transgendered Woman rolled off the presses. 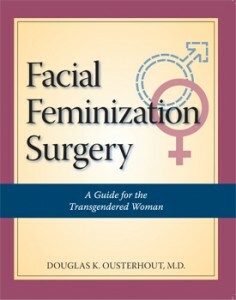 The book’s author, Douglas K. Ousterhout, M.,D., of San Francisco, pioneered the facial feminization surgery in the 70s and 80s. This Fall, Addicus Books will release the 4th edition of Straight Talk about Breast Cancer. Suzanne Braddock, M.D., is the author and a breast cancer survivor. The book was first published in 1994 and is currently used for patient education by hospitals, cancer clinics, and state health departments across the nation. 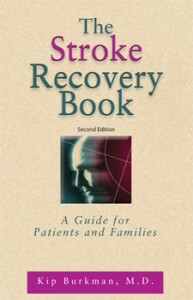 Also this Fall, Addicus Books will release the second edition of The Stroke Recovery Book by Kip Burkman, M.D. Last month marked the observance of National Healthcare Decision Day—a day to remind Americans of the importance of having advance directives or living wills. These legal documents express peoples’ wishes for medical care if there should come a time when they are not capable of making their own decisions. “The observance of this day reminds us of the importance of living wills and the importance of living wills providing accurate information,” said Dr. Fred Mirarchi, an emergency room physician and author of Understanding Your Living Will—What You Need to Know before a Medical Emergency. Dr. Mirarchi explains that people die in emergency rooms every year because their living wills are misinterpreted by medical staff. Addicus Books is working with its distributor, IPG Books, to increase the number of Addicus titles being offered as e-books through Amazon.com’s Kindle reader. Amazon’s merchandising effort is intended to boost both Kindle and print sales. The online retailer launched Kindle in 2007. According to Book Business Magazine, most publishers report about 1 to 2 percent of sales are for e-books; however, this segment of the market is expected to grow. Approximately 15 percent of the American population reports they have read at least one e-book. 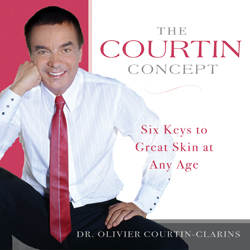 Addicus Books has signed a contract with the French publisher, Presses du Chatelet, Paris, to co-publish the forthcoming French-language edition of The Courtin Concept—Six Keys to Great Skin at Any Age by Olivier Courtin, M.D. Addicus Books published the English language edition of the book in 2007; the book was a companion to the launch of his new line of cosmetics, My Blend, developed by Dr. Courtin. He is the managing director of the Paris-based Clarins Group, the European leader in skin-care products, sold in 150 countries. The DiBruno Brothers Restaurant in Rittenhouse Square, Philadelphia, was the setting for Janet Zappala’s book launch party on April 8. 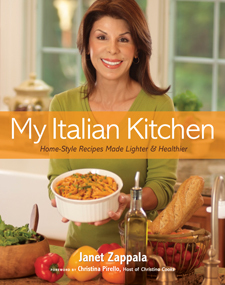 Ms. Zappala is author of My Italian Kitchen—Home Style Recipes Made Healthier and Lighter. The hostess for the evening was her friend and colleague, Chef Christina Perillo, who can be seen weekly on the PBS cooking show, Christina Cooks. Ms. Zappala is an Emmy-award winning television journalist and certified nutritional consultant. In writing this book, she used many of her mother’s recipes but made them more nutritious without sacrificing taste. “I’ve always loved to cook, and my mother was my inspiration,” Ms. Zappala said. “She could whip up just about anything and it would be delicious My cookbook is filled with recipes for delicious dishes that are easy to make. I wrote it with an ardent respect for mothers everywhere and those who love them.” More info about Ms. Zappala, visit www.JanetZappala.com. 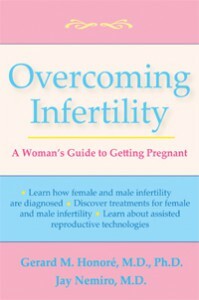 In June, Addicus Books will publish Overcoming Infertility—A Woman’s Guide to Getting Pregnant. The authors, both reproductive endocrinologists are Jerard Honore, M.D., of San Antonio, Texas, and Jay Nemiro, M.D., of Scottsdale, Arizona. 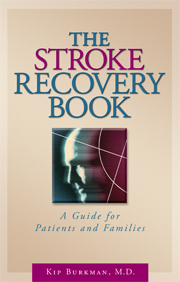 In the Fall, Addicus Books will release the second edition of The Stroke Recovery Book, by Kip Burkman, M.D. The book is a resource for patients and families. It discusses the various types of strokes and how the affect the body; it also covers the many aspects of recovery and rehabilitation. Overcoming Prescription Drug Addiction is receiving high marks from providers of continuing education classes for nurses and counselors. Several providers across the country offer classes based on the book. One provider said, “The ratings for the course are always high, and we have a high number of students being referred by those who have taken the course. This speaks well for the course, too.” The book, first published in 1994, is in its third edition. Janet Zappala, author of My Italian Kitchen, made an appearance this month at the Chester County Book & Music Company in West Chester, PA. Ms. Zappala signed copies of her cookbook and offered samples of the pesto cheese loaf. The 38,000-square-foot store is one of the largest independently-owned book and music stores in the nation. Janet Zappala appeared on KTTV’s Good Day LA, the Los Angeles TV program, to promote her new cookbook, My Italian Kitchen. The book was released in April. Since then, Ms. Zappala has been making media stop across the country. Her stop in Los Angeles included a book signing at the Burbank Barnes & Noble. Ms. Zappala is an Emmy-award winning journalist, and formerly served as an anchor and reporter on KTTV. Click here to view her appearance on KTTV.